Wuxi, China (13 Jan. 2018) –South Korea dominated the third weekend of the World Taekwondo Grand Slam Champions Series, as Kyo-Don In shocked the field with victory in the men’s +80kg division, while in the women’s -49kg class, compatriot So-Hui Kim fought valiantly to secure gold. 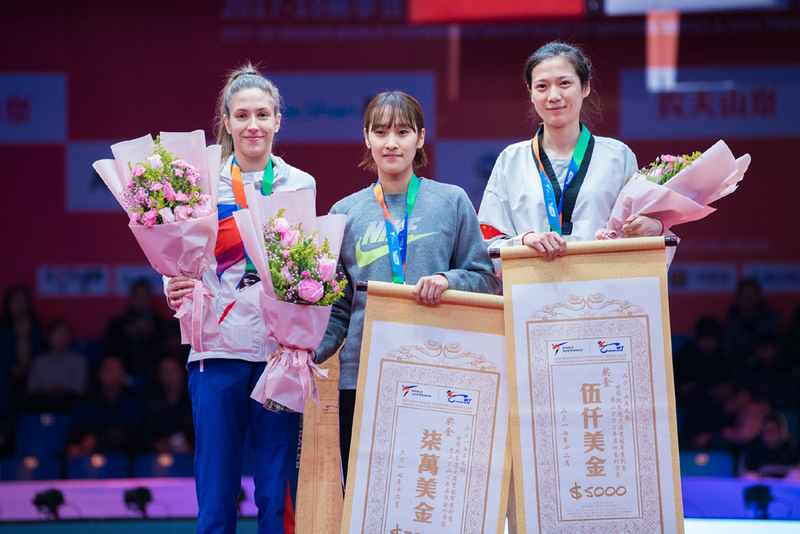 Reigning Olympic champion and tournament favourite Kim put on a master class to top the -49kg standings, overcoming Yuntao Wenren (China) 19:18 in a captivating semi-final, before demonstrating her defensive prowess and fast footwork to beat current World Champion Vanja Stankovic (Serbia) 6:0 and claim the tournament’s USD70,000 prize. Panipak Wongpattanakit, considered by many a strong contender after winning three of the four Grand Prix events in 2017, suffered an early exit after losing 18:17 to Wenren in a highly-skilled and exciting contest. However, the Chinese athlete could not repeat the feat against Kim, who took advantage of her exhausting earlier battle. Wenren went on to win the bronze medal match, defeating Nahid Kiyanichandeh of Iran. Taekwondo fans watching all over the world were transported closer to the action with the introduction of 97 high definition 4-D cameras, which surrounded the mats and delivered a 360-degree view of every hit. The “Matrix-style” video not only entertained spectators live-streaming the event, but also influenced refereeing decisions, providing provide ultra-accurate video replays for referees at the edge of the field of play. If deemed a success, the cameras may used for the Tokyo 2020 Olympic. 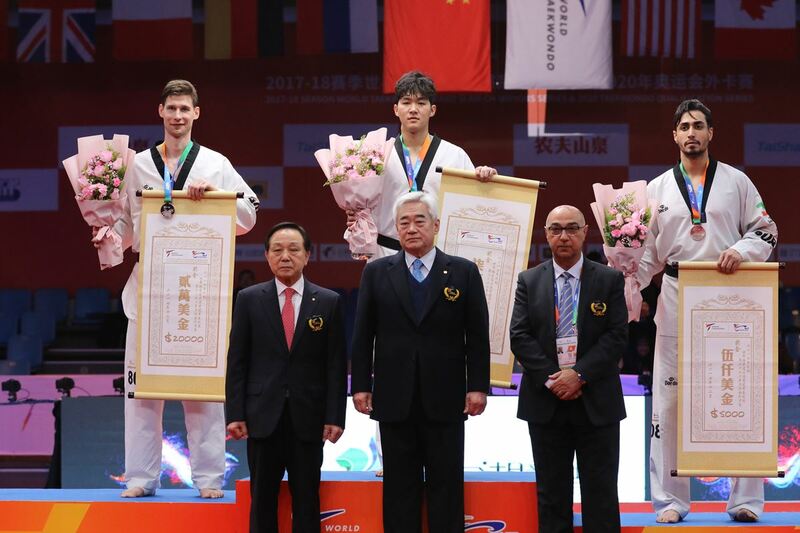 Following the conclusion of competition, World Taekwondo (WT) President Chungwon Choue praised the quality of the event, both on and off the mat. 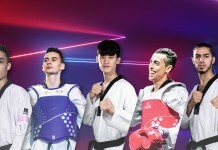 The World Taekwondo Grand Slam Champions each series is made up of 12 premier athletes, who are invited based on their previous successes and world ranking.